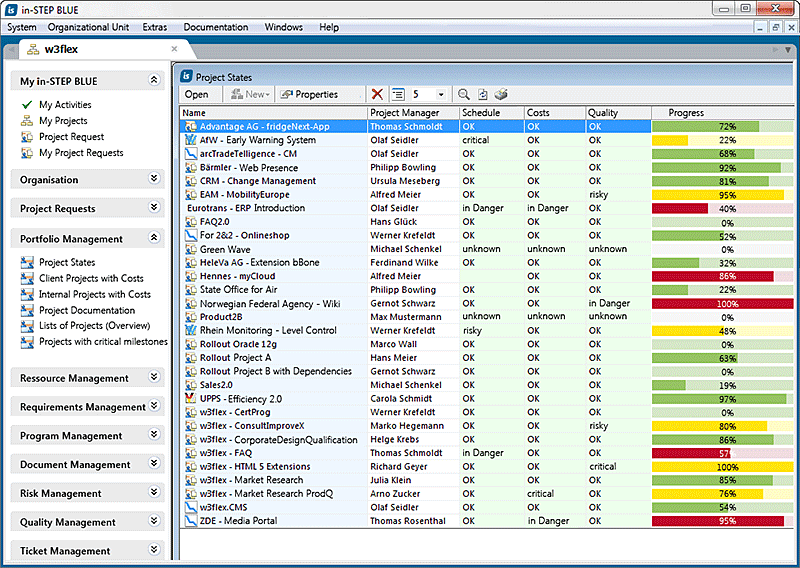 in-STEP BLUE is software for project management with processes and methods. It offers project and multi-project management, requirements and change management, quality and test management, configuration management, risk management and process management. Individual project management methods can be supported as well as Scrum, PRINCE2, V-Modell XT, HERMES and projects according to Automotive SPICE.